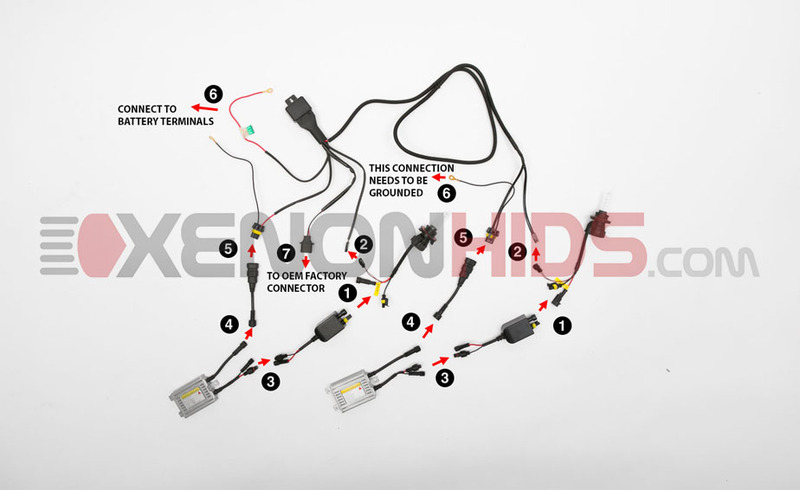 Below are the components included in your Dual Beam Bi-Xenon HID Conversion Kit with a Power Relay Harness. 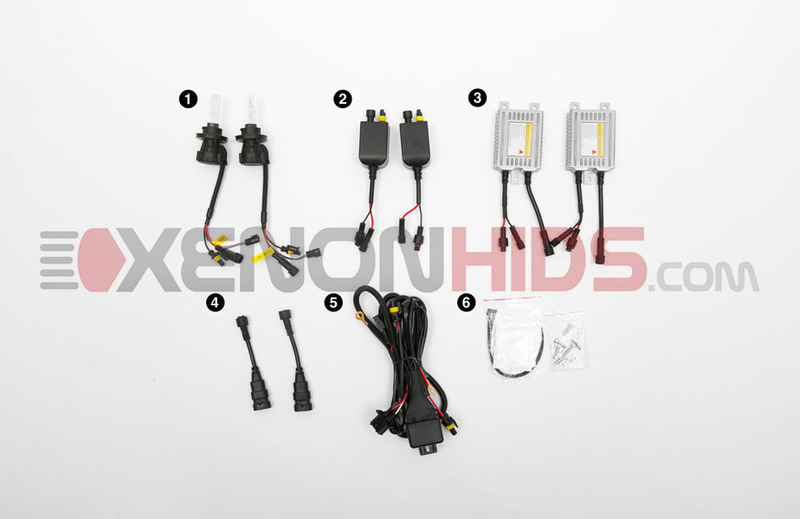 This HID kit will convert the low beams and high beams to HID, using a single bulb. 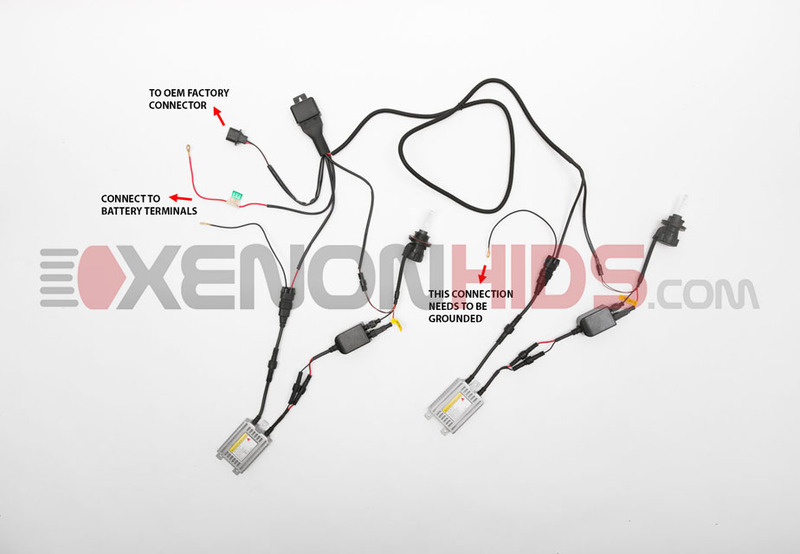 Connect the Ballast Adapters to the male connectors on the Power Relay Harness.